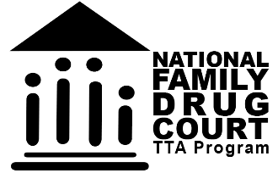 The Family Drug Court Training and Technical Assistance Program is thrilled to announce Family Drug Courts (FDCs) were recently added to the Office of Juvenile Justice and Delinquency Prevention (OJJDP) Model Programs Guide. The review examines evaluation research showing the importance of serving the needs of parents, children, and families in achieving the desired outcomes of FDC programs. Resources such as this continue to develop in response to the rise in family drug court research. Webinar Recording – So How Do You Know They are Really Ready?